7-10 working days from approved artwork (weekends and public holiday not included). Additional options added to product may extend this time, Allow an extra 1-2 working days for an option. 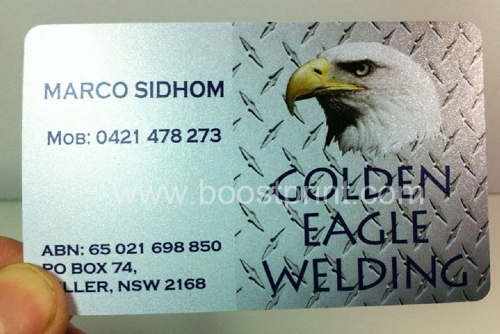 The metallic plastic cards are full colour printed on 0.30mm white PVC cards with rounded corners. The metallic effect comes out from the background and looks gorgeous..
Boostprint stands behind the quality of its products and services. If you are not satisfied with your purchase from us, simply contact Customer Service by email within 15 days from the date you receive it (or the date it was scheduled to arrive), and we will reprint part or all of your order. 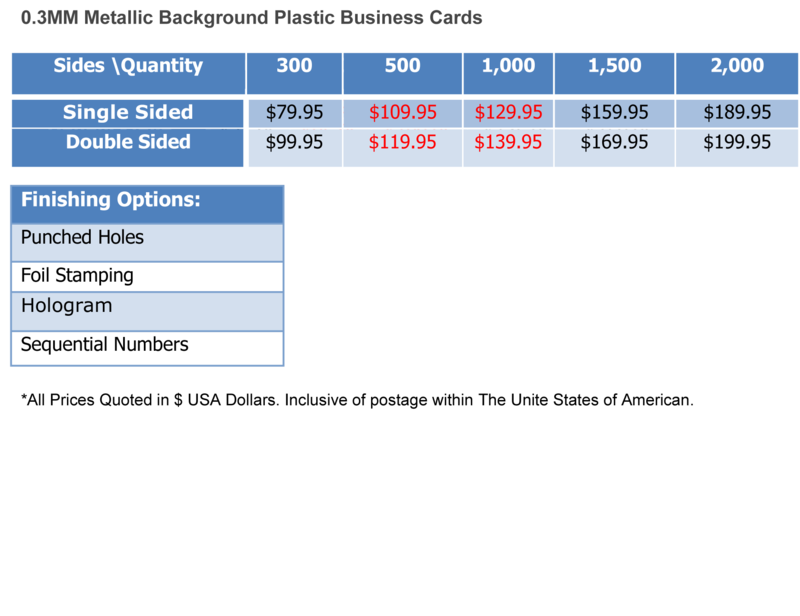 In some cases, we may refund the full price of the product(s) in question, excluding shipping, postage. 7daysprint is committed to customer satisfaction, and we do everything possible to ensure proper cutting, accurate color reproduction, and excellent printing quality. However, certain circumstances are beyond our control and are not covered by this guarantee. Please check the Term and Conditions page to note that we cannot be responsible for. Please contact us for more asked questions.